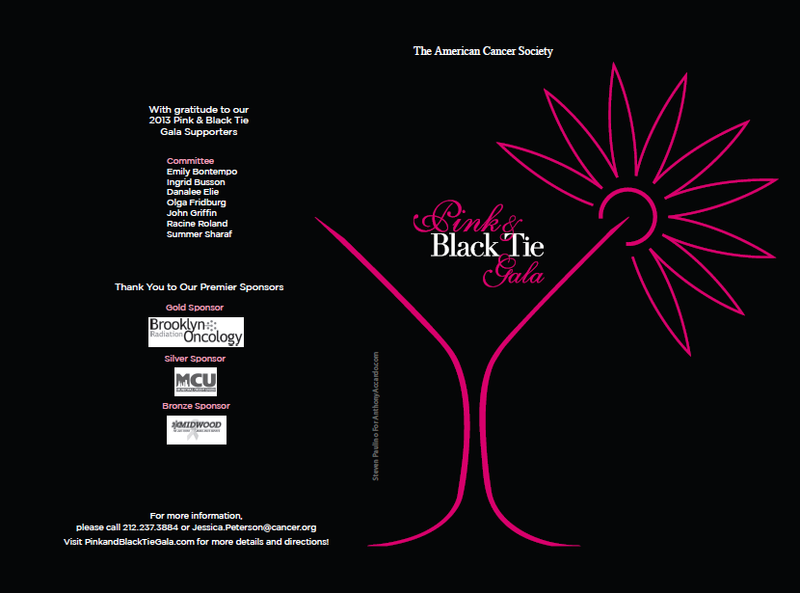 The Pink & Black Tie Gala will be held Tuesday, September 17th from 7:30-11:00 p.m at the Brooklyn Botanic Garden. The event will honor John. E Kehoe, MD with host Stacy London of TLC’s “What Not to Wear”. The event will also celebrate the American Cancer Society’s 100th birthday, a global grassroots force of more than three million volunteers saving lives and fighting for every birthday threatened by every cancer in every community. As the largest voluntary health organization, the Society’s efforts have contributed to a 20 percent decline in cancer death rates in the U.S since 1991, and a 50 percent drop in smoking rates. Gala proceeds fund direct support services to Brooklyn cancer patients and their families as well as the Society’s national life-saving research.